To evaluate the diagnostic potential of 23 candidate genes, belonging to a category of tumor-specific antigens known as cancer-testis antigens (CTAs), in transitional cell carcinoma (TCC) patients. The expression of 16 known candidate CTAs and seven testis restricted/selective genes, predominantly expressed in the testis, was evaluated by reverse transcriptase-polymerase chain reaction (RT-PCR). Urinary exfoliated cells (UECs) and cancerous tissues of 73 TCC patients were used as cases, while 25 tumor-free adjacent bladder tissue specimens along with bladder tissue specimens and UECs of five non-TCC individuals were analyzed as controls. Among the known CTAs only MAGEA3, MAGEB4, TSGA10, PIWIL2, OIP5, and ODF4 were expressed specifically in TCC tissues and UEC samples. ACTL7A, AURKC, and CGB2 were testis-restricted/selective genes that indicated specific expression in cases in comparison to controls. MAGEA3, MAGEB4, and ODF4 mRNA was detectable in more than 50% of both TCC tissues, and UEC samples. Slight differences were detected in the mRNA expression pattern of candidate genes between the UEC samples and tumor tissues. Different panels formed by combinations of these genes can show up to 95.9% and 94.5% of positivity in TCC tissues and UEC samples, respectively, suggesting their diagnostic and surveillance potential. Meanwhile the RT-PCR assay of at least MAGEA3, MAGEB4, and ODF4 may be particularly useful for diagnostic and surveillance of TCC in the form of a multi-biomarker panel. The online version of this article ( https://doi.org/10.1007/s12253-017-0313-4) contains supplementary material, which is available to authorized users. Sincere gratitude and appreciation to Dr. R Glen Calderhead who thoroughly copyedited our manuscript for language usage, spelling, and grammar. We are also thankful to Mrs. Harieh Rasouli, Mrs. Soheila Khamseh, Mr. Esmaeel Khoshbakht, and Mr. Saeed Farabi who kindly helped us during the sampling process. 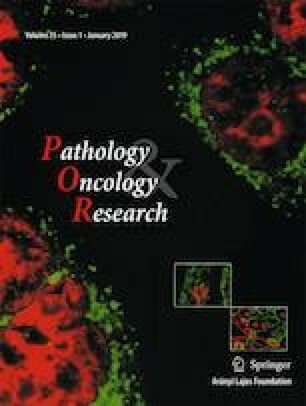 The research reported in this manuscript has been fully funded by the Cancer Research Center of Tehran Medical Sciences University under reference number 93–03–51-23,968 and supported by the Uro Oncology Research Center of Tehran Medical Sciences University in the terms of sampling.